A charitable organization,Goodwill has apologized for using Kanye's facial expressions to demonstrate to staff on how not to behave to clients. 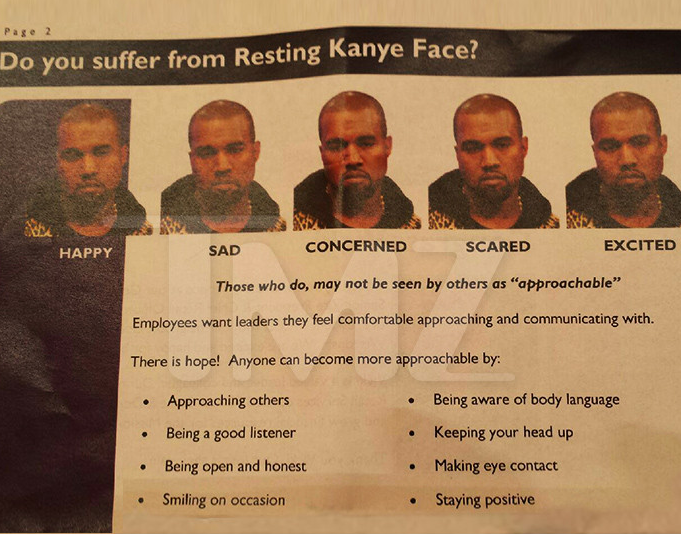 they meant no disrespect when they used Kanye's mug as a way of schooling supervisors on how to react to different scenarios in the workplace. Goodwill says it felt it was being "relatable" by using the rapper's face, but in hindsight they realized it was wrong. The newsletters has now been pulled from all its stores and donation centers. "We’d like to apologize to Kanye West, his fans and the community for the use of his image to illustrate an internal training message. It was unacceptable and Goodwill takes full responsibility for this action and meant no disrespect to Kanye."